Wheat prices pushed past the $8/bushel barrier today, the same day my some of my students discovered wheat berries growing on their young wheat plants. While a few wheat berries growing in Room B362 will not affect the futures price of wheat, they do tell a story. The class plants were small brown kernels just a few weeks ago, and now stretch towards the lights, long, green stalks topped with new wheat kernels, still green, still growing. Each wheat berry sown gets us a dozen or so new wheat berries, for the cost of a quart or two of water and a few hundred hours of fluorescent light. (We could save on the light and just use the windowsills as spring creeps closer). Where did the "stuff" of the wheat come from? Water, cheap and plentiful here, and carbon dioxide, otherwise wasted breath in a classroom. So while my lambs will struggle with NADPH and the Calvin cycle, trip over cytochromes and chemiosmosis, they will at least get the gist of this whole photosynthesis thing. Light, breath, and water form our daily bread from a simple wheat berry. 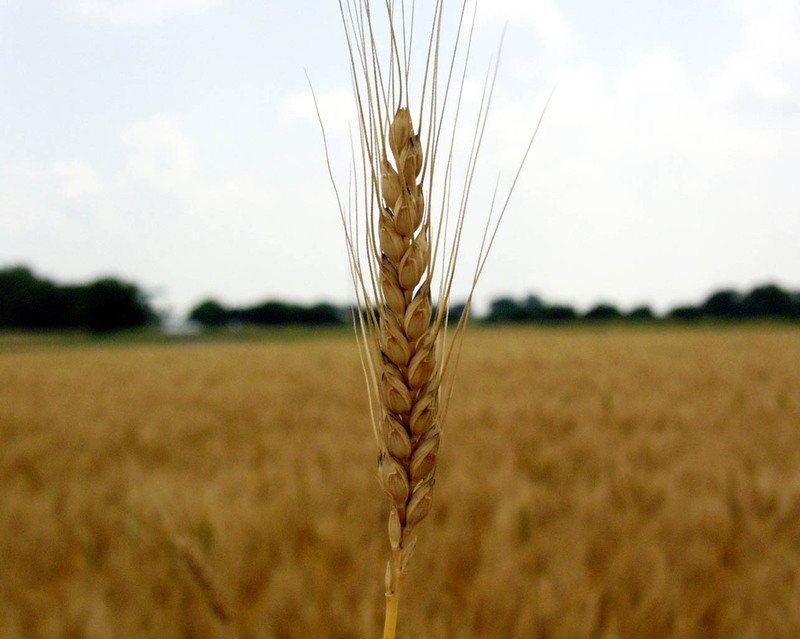 Even at $8/bushel, wheat costs less than 14 cents a pound. An iPod classic weighs 4.9 ounces, and checks in at $249, a bit over $800 per pound, and it won't do any good to water it. For the price of an iPod, you can get 3/4 tons of wheat. Yes, of course, my bucket of wheat can't play music. But it sure tastes better than an iPod. and the Soil and Crop Sciences Department found here. Not fair! Your write faster than I can read! I start classroom tutoring soon so I guess I should plan my plants. Is there a better low-light windowsill plant? I gotta do it as cheap as possible (not buying a light source maybe). I'm thinking of making my container with two pieces of glass so we can see the roots. So deep. Happy New year! My first couple of years I grew wheat on windowsills, a western one at that. Wheat can stand a lot of abuse. Just beware of anyone with allergies--wheat pollen gets around.